The change size of the Island from 1877-1996. Too much vital habitat has been lost already! Egmont Key’s erosion is not a recent issue – records of erosion on the island date back to the early 1900’s when Battery Burchstead was endangered by an eroding shoreline. Still, the rate at which erosion currently claims the island has visibly accelerated. Shortly after, the USACE conducted a feasibility study analyzing potential alternatives to stabilize the eroding shoreline of Egmont Key. 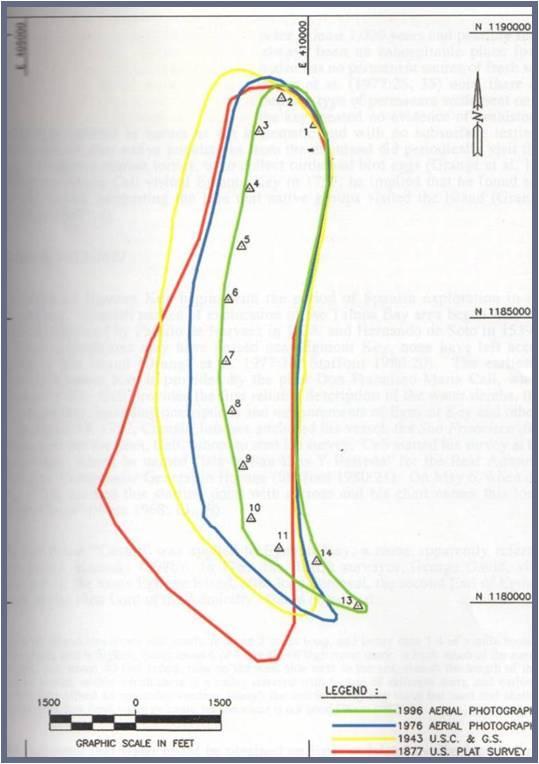 In the 2008 draft report, the preferred alternative to protect EK is to place a sheet pile wall to protect the batteries and re-nourish the west beach every 7 years for a period of 50 years utilizing sand from the Egmont shoals. The estimated initial cost at the time was approximately $16 million dollars for the construction of a sheet pile wall and re-nourishment. Re-nourishment for the following 50 years was estimated at an average cost of $8.5 million dollars. Nevertheless, the study has remained in draft format and consequently has not been funded. During the reconnaissance study, it was concluded that due to federal ownership of the island, the Department of the Interior (USFWS) would have to provide 100% of the funds to finance the operation, or be specifically appropriated by Congress. To date, any sand that has been placed on Egmont Key by the USACE has been through the beneficial use of dredge material from O&M projects. Although beneficial, O&M projects do not occur on a consistent basis and the quality and quantity of the sand varies. A total of 300,000 cubic yards of sand from the St. Petersburg Harbor O&M was placed on Egmont Key in the year 2000 to protect the nearly undermined batteries – Howard, McIntosh, and Mellon. By 2006, erosion once more threatened the batteries. This time USACE was able to place 700,000 cubic yards of sand from the Tampa Harbor O&M. In both instances, the amount of sand placed on the island occurred as an emergency measure to protect the batteries, leaving the narrowest and most vulnerable area unattended and resulting in a continued loss of beachfront for recreation, habitat loss, and a potentially compromised Pilot station. In the long run, the objective of this feasibility study is to prevent any further loss of Egmont Key while salvaging what can still be restored. By supporting this feasibility study, you help keep Egmont key afloat, Don’t let erosion claim what is rightfully yours. 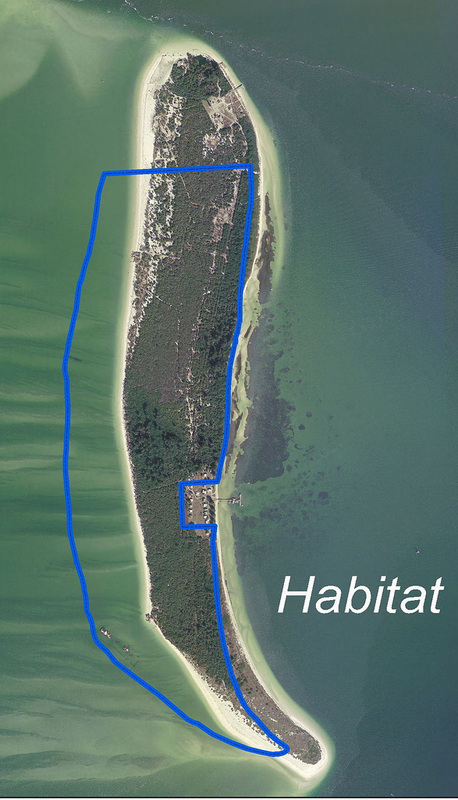 Want to know more about Egmont Key's restoration? Click here!